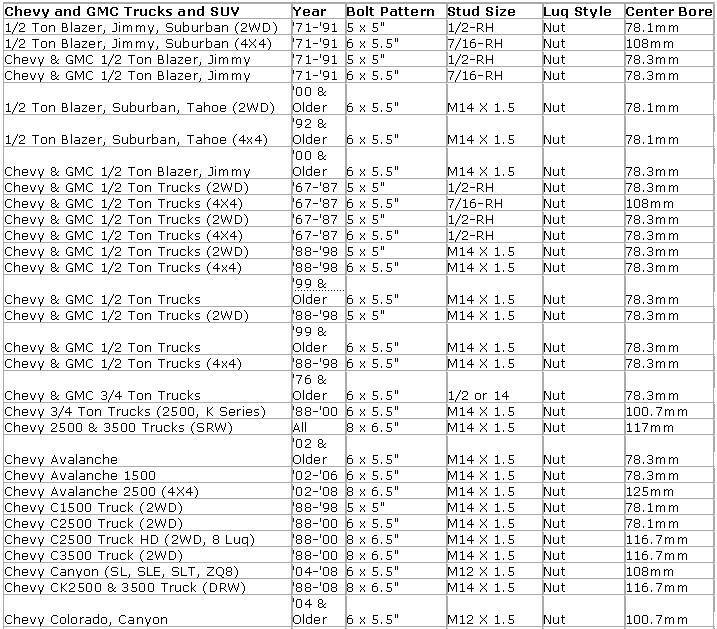 2010 and older GM 2500/3500 trucks are 8x6.5"
Bolt pattern data is ©Copyright Crawlpedia.com - Please provide a link back to their web page when copying. 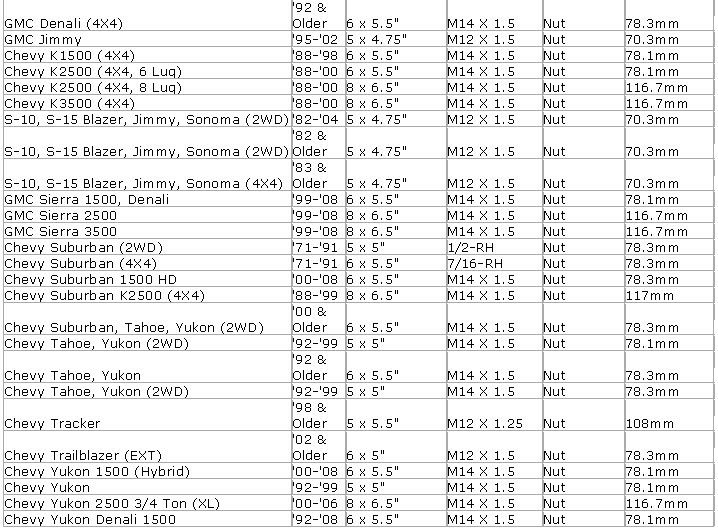 Data is accurate to the best of Crawlpedia.com's knowledge and is offered as-is with no guarantee. The Diesel Page thanks Crawlpedia.com for their hard work.